The first 7″ from Kim Deal’s single series, “Walking With A Killer”/“Dirty Hessians,” was released in January and sold out of its limited run (1,000 copies) almost instantly. 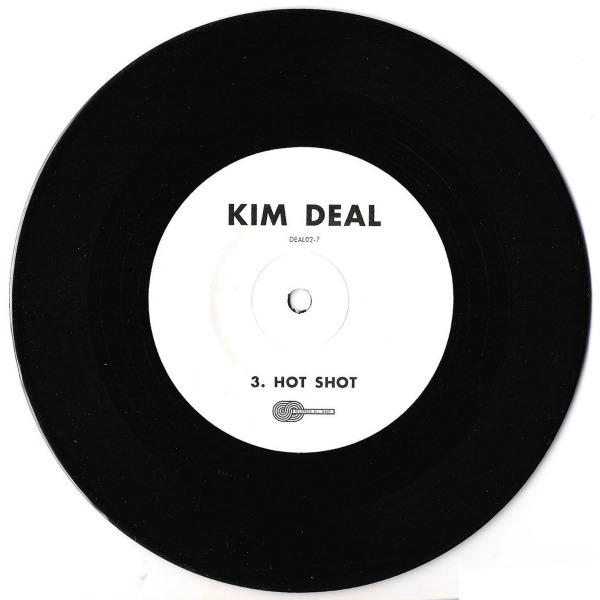 Now, she’s released sides 3 and 4 of that series, “Hot Shot” b/w “Likkle More,” whose A-side is available for spinning below. “Hot Shot” has a stripped-down Breeders-y feel, with Deal’s voice bending over rigid instrumentation. I’m pretty sure she’s singing about killing someone with a poisoned spike of heroin. It’s pretty fucked-up stuff. But Deal makes it sound as sweet as a cold beer on an August afternoon. Listen below and nab one of the presumably few remaining copies of the 7″ here.